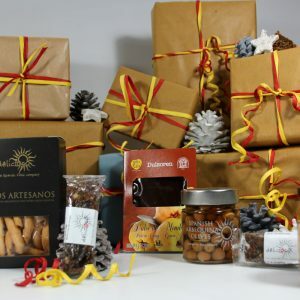 These are the perfect accompaniments for a Spanish cheeseboard! 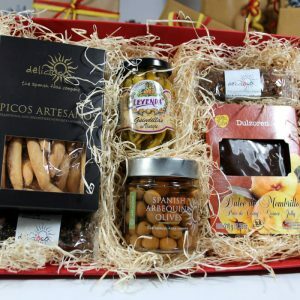 This gift tray contains: Picos, mini breadsticks, in a presentation box; Membrillo, quince paste; Piparras, bittersweet chilli peppers from Navarra; Whole nutty Arbequina olives and both Fig and Almond and Mediterranean Assortment fruit bars. Presented in a card tray filled with soft wood wool and tied with raffia. Makes a great gift for a cheeselover. 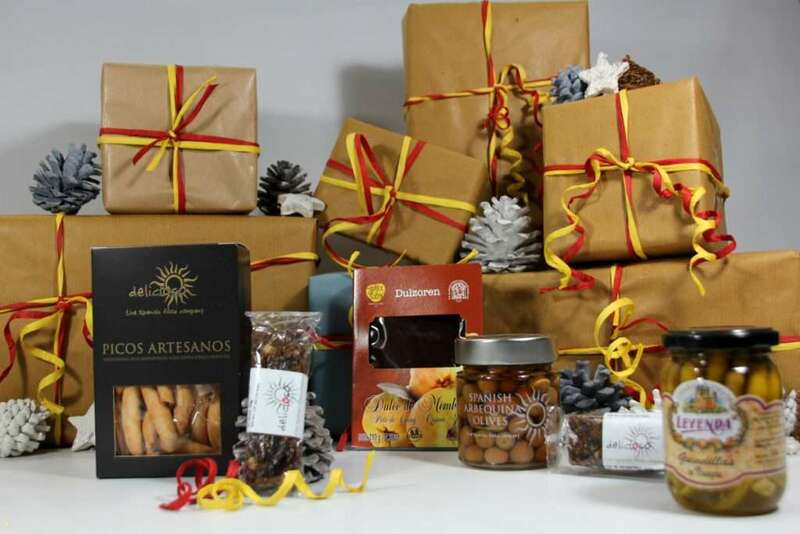 And remember, we can add a gift message to your order; just let us know when ordering! A GOURMET GIFT FOR GIN ENTHUSIASTS!